Ban Chiang is divided in to two sections. 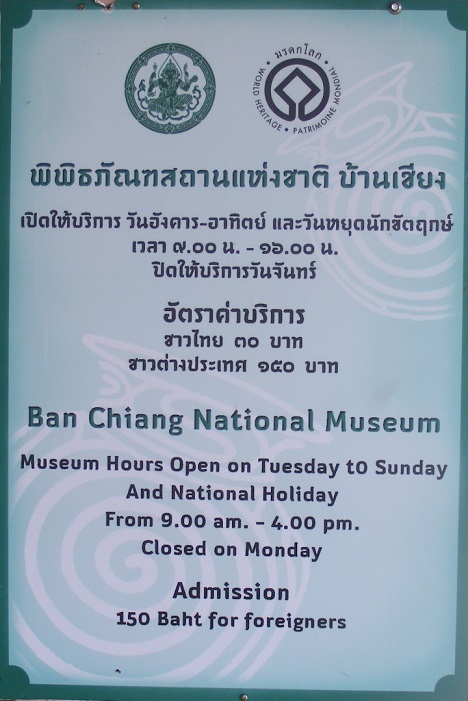 The first section you arrive at is the museum housing mostly pottery along with anything associated with the ancient culture of Ban Chiang that has been unearthed over the years. 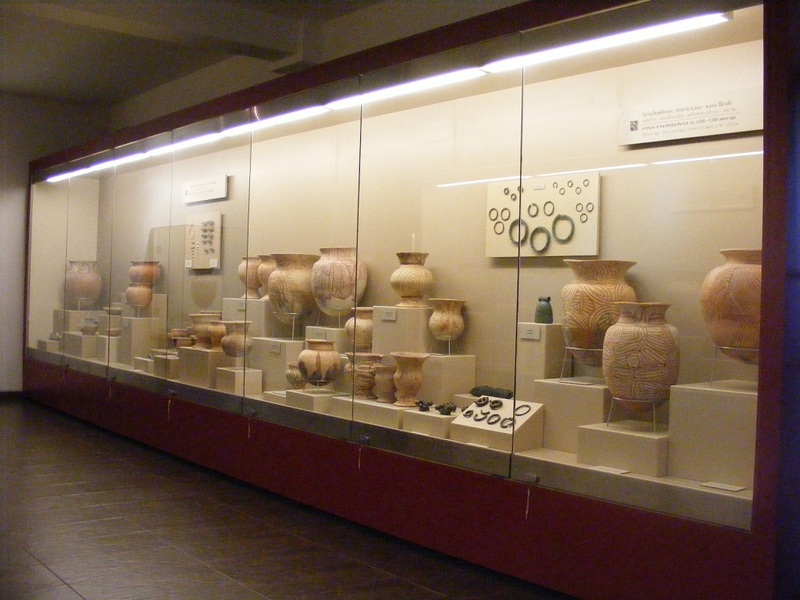 On display are ancient tools, several household items, many artefacts, pottery items, of which many are over 4,000 years old, with some as old as 7500 years, and more. All artefacts are showcased very well so that visitors can get as much information as possible about the ancient culture. Naturally everything is labelled in Thai, but much of the information is in English too. You enter the main building (shown below) and make payment, then turn left and go up the stairs, and across the bridge which takes you to the start of the display area. The first section is air-conditioned and comfortable, the next section is not and can get very hot at times. The final section too is air-conditioned. 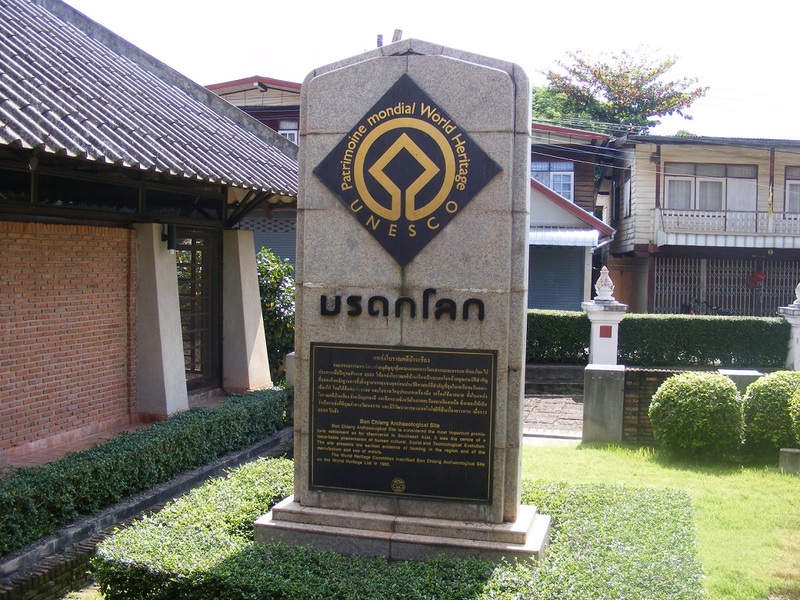 The Archaeological Site at Ban Chiang was nominated as a World Heritage Site in December 1992. It is located about 600m further east from the museum at Wat Pho Si Nai. This is the original display of ancient burial grounds that were discovered. It is a small building with little information provided. 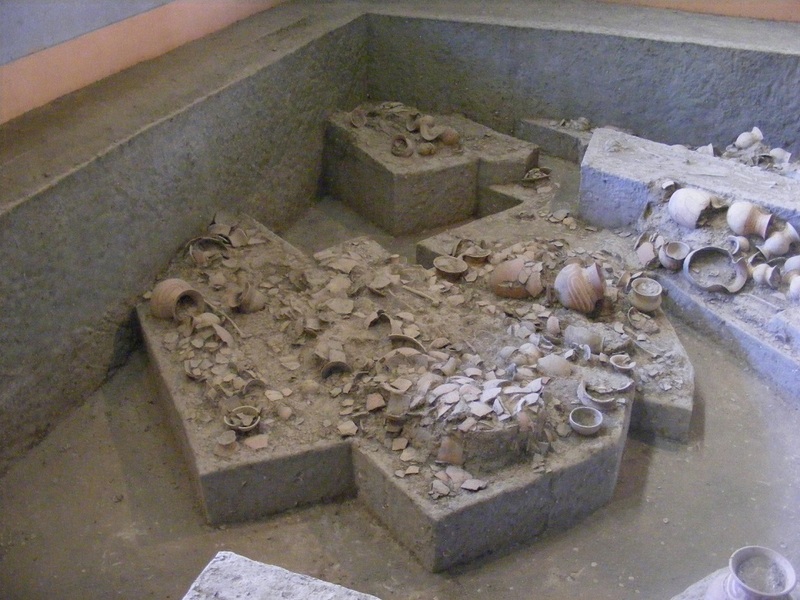 An archaeological discovery at Ban Chiang is important to study the history of human settlement in Issan and Thailand in general. 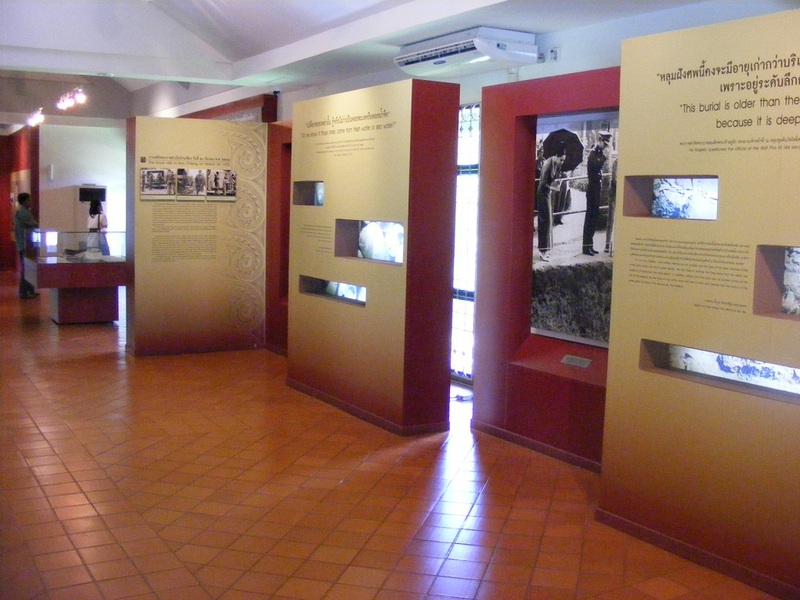 It was following the visit of the King and Queen of Thailand in 1972 that the Ban Chiang museum project was born to enhance education. It was 5000 years ago that the first humans roamed the hill in Ban Chiang. Life was predominantly occupied with survival by hunting wild animals, farming and making lots of pottery. Some 1000 years later they began to make use of bronze casting techniques and another 1200 further on, began making tools with iron. The mound in what has become Ban Chiang was utilized mainly for funerals with a cemetery and graveyard. 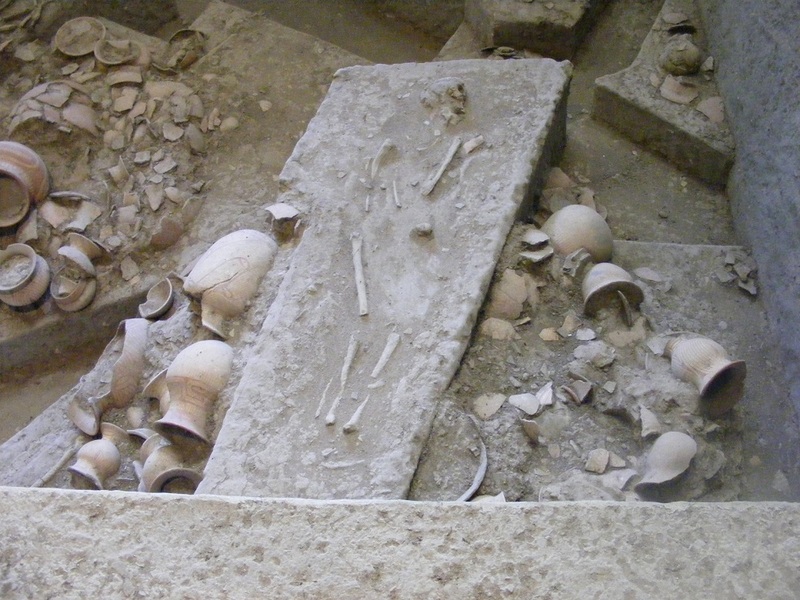 At this time it was not unusual, when a family member died, that some graves would have had utensils, pottery, ornaments and even food buried along with the corpse. Opening times are Wednesday to Sunday, from 8.00am to 4:00pm. An entrance fee of 150 baht for foreigners is required (30 baht for Thai's) with children let in for free. 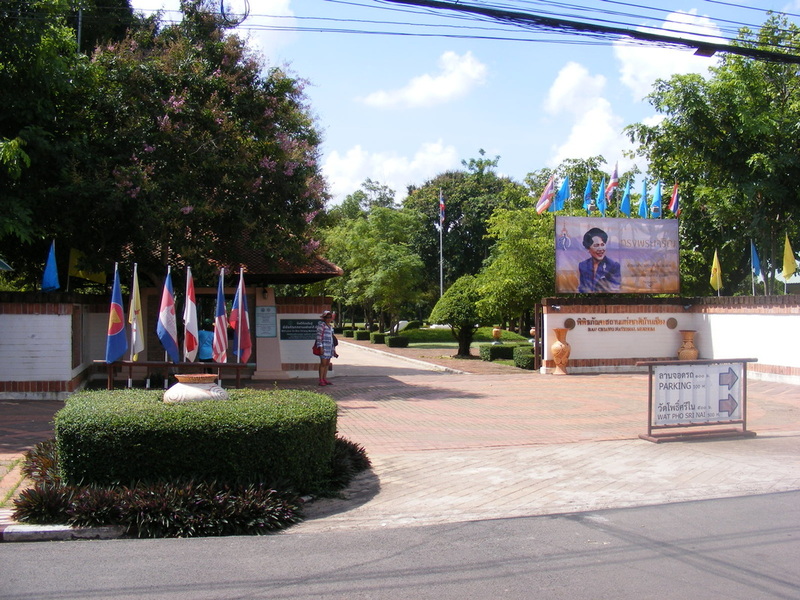 Ban Chiang is located in the Nong Han District of the Udon Thani Province, to the east of Udon Thani city. 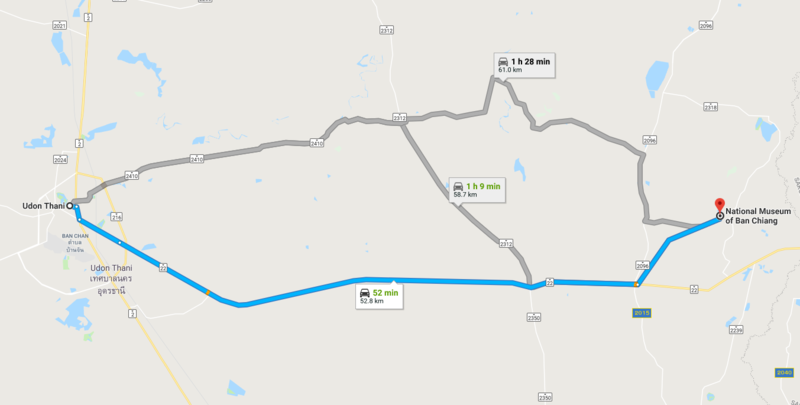 ​From Udon Thani, take Route 22, Nittayo Road which runs south east from the city centre. Follow this road until you arrive at Ban Nong Mek, where you turn left at the traffic lights on to a rural road which takes you to Ban Chiang.